Ghana’s governmental change will not affect the Black Stars at the 2017 Africa Cup of Nations, according to the country’s FA president Kwesi Nyantakyi. Ghana held presidential elections last week and there has been a change of political power in the country, with the opposition New Patriotic Party taking control. This inevitably means a change of personnel in the government, including in the sports ministry, which will oversee Ghana’s AFCON campaign. 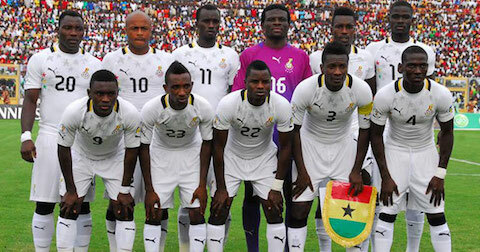 However, Nyantakyi is adamant that a change of government will not be an issue for the Black Stars. "I'm not sure it would have any effect on us at the tournament. It happened in 2009 when we went on to gold at the U20 World Cup in Egypt," he told reporters at the GFA Congress session in Prampram on Monday, as quoted by GHANASoccernet. Ghana are looking to win their fifth Nations Cup title (their last arrived back in 1982) and will battle against Egypt, Uganda and Mali in Group D.